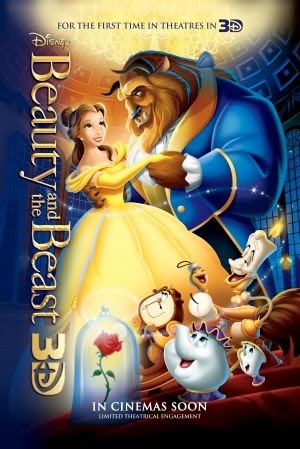 After the success of The Lion King's rerelease last year, Disney has decided to bring a multitude of their finest animated features back to the big screen in glossy 3D - and what better way to start off this wave of rereleases than with one of their finest films ever: Beauty and the Beast. Once upon a time in a faraway land, a young prince's selfish, cold heart lands him under a curse that mutates him into a hideous beast with true love as the only remedy. Though years have passed and he himself fallen victim to despair, hope arises when a young woman named Belle (Paige O'Hara) surrenders to his capture in return for the release of her imprisoned father. As the two spend more and more time together at the Beast's (Robby Benson) glorious castle, they begin to realize that love can be found in even the unlikeliest of places, and beauty itself is found within; and only with this knowledge, can the Beast finally break his curse. Adults and children alike can enjoy the majesty of this animated masterpiece, with it's fantastic musical numbers (including the titular song itself), excellent animation and an emotionally resonant narrative. Far better than most animated films today, the film maintains it's quality even after so many years, and that's not just down to the thorough digital restoration. Those impressed with the film back in 1991 will feel as attached to it today, with or without the added 3D. The depth inducing effect is surprisingly satisfactory for a 2D animated film, and during some scenes offers some dazzling visuals. Certain weather effects, such as rain and snow, are particularly impressive in 3D. A wonderful musical score by the legendary Alan Menken provides a jubilant lyrical atmosphere for the story, and the renowned musical numbers intertwined within are just as great. 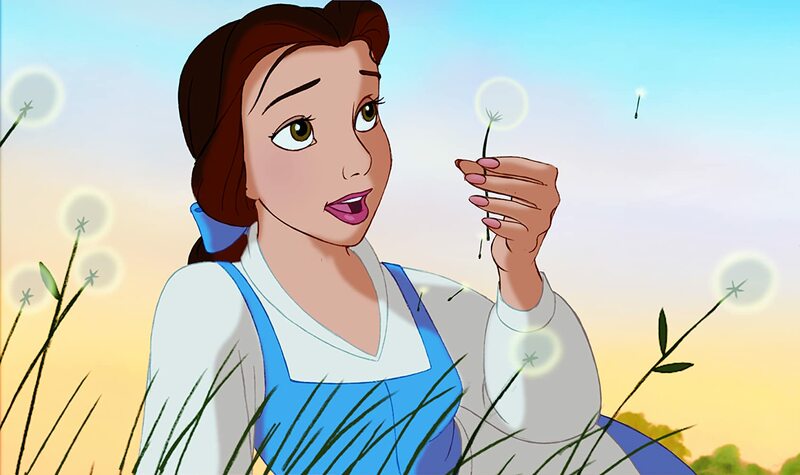 Much as Disney aimed it to be, the film plays out like a Broadway musical on screen, and this is something that gives the fairy tale a unique charm. The characters throughout are incredibly likeable, especially the eponymous couple (who share a well developed chemistry), and the voice acting is universally impressive. Visually, it's one of Disney's finest, with excellent character fluidity, detailed backdrops and admirable special effects. 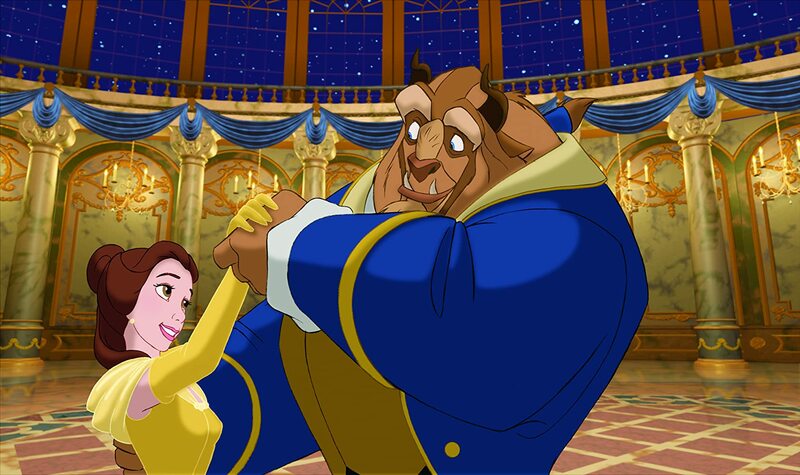 It's no surprise Beauty and the Beast is the first animated film to ever have been nominated for a Best Picture Oscar. There is virtually nothing to fault, with it's beautiful musical atmosphere and strong yet simple storyline able to capture the hearts of many. For any Disney fan, as with The Lion King, this 3D rerelease is one that simply cannot be missed. You'll also get to watch a short called Tangled Ever After before the film itself begins, which I have to tell you is absolutely brilliant. Another clip + news for The Attic! Official Trailer for The Attic! The Attic - New Clip!